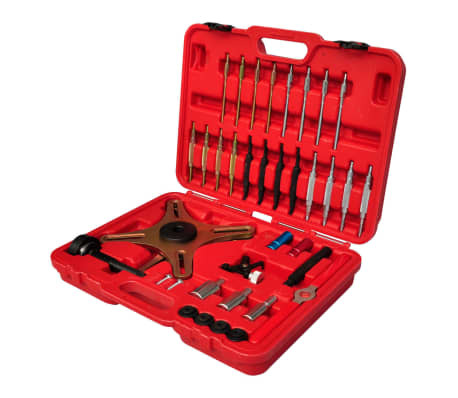 This sealey SAC clutch alignment setting tool fits many vehicles like VW, BMW, Ford, Opel, Mercedes and Renault. 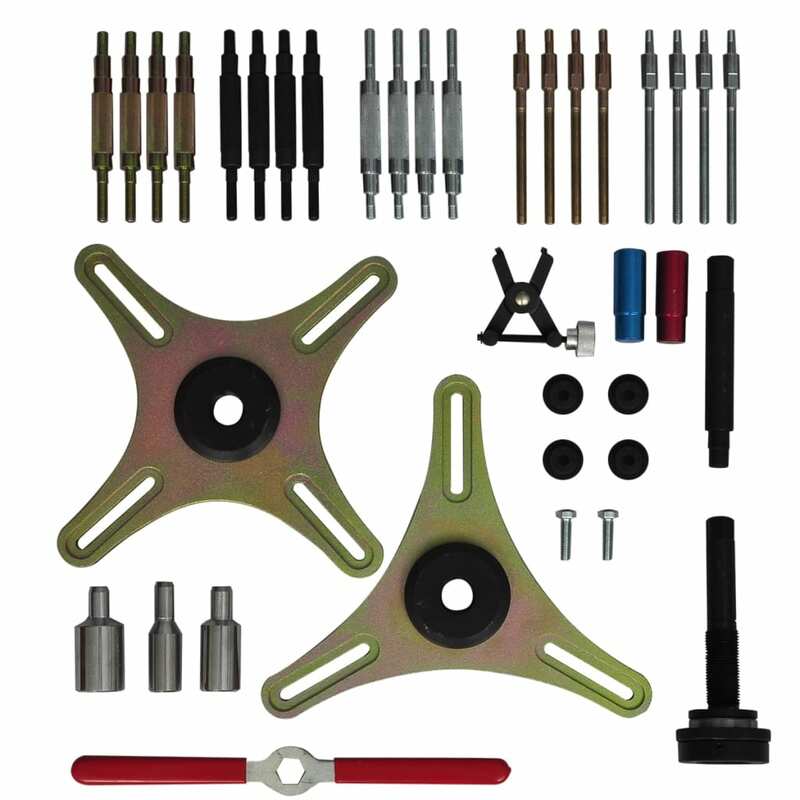 The whole set is ideal for mounting and dismounting of SAC clutches and reset the adjuster. 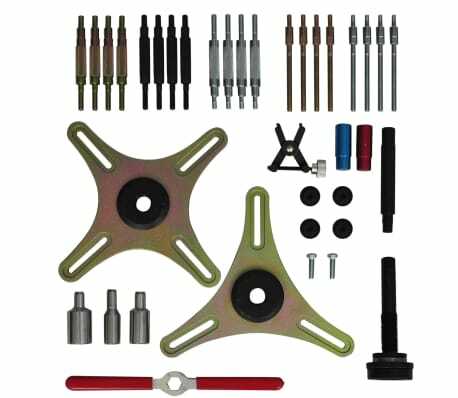 The tools can prevent plate distortion which may prevent the clutch from disengaging or cause dragging. 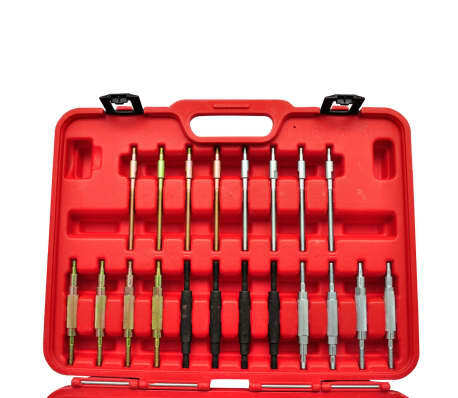 The whole set is made of quality carbon steel. It comes with the features like a refitting tool, allowing the clutch adjuster to be wound back, and six alignment adaptors. 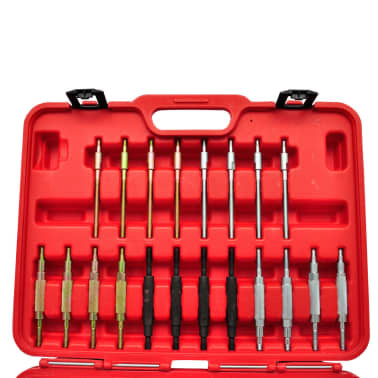 Each tool piece is well stored in a HDPE carry-case for easy transportation. 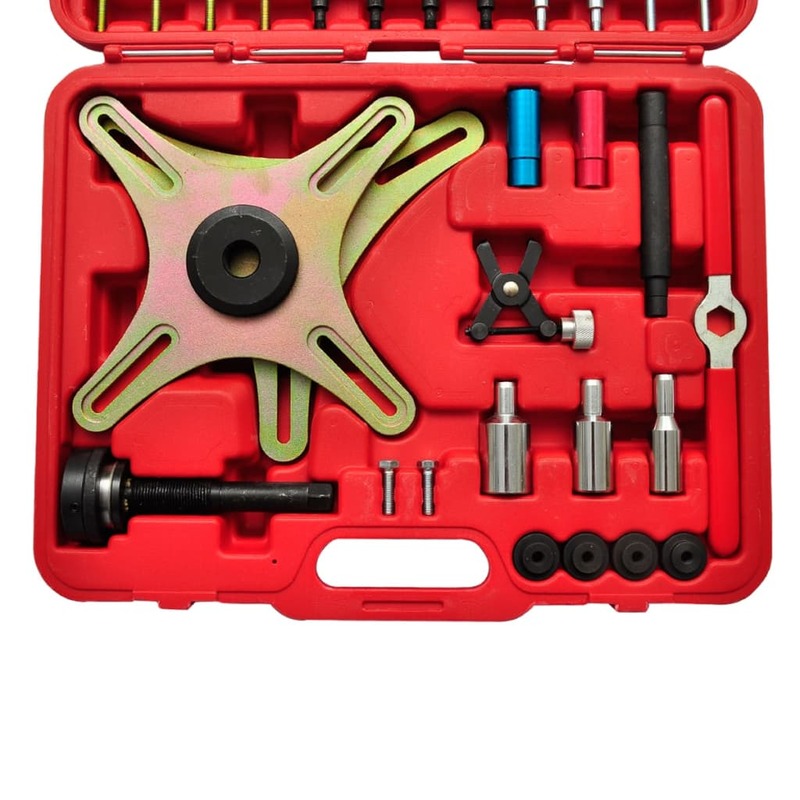 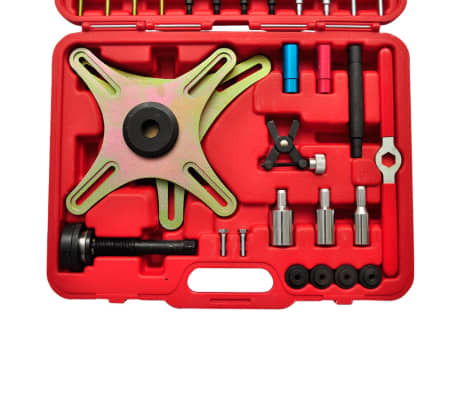 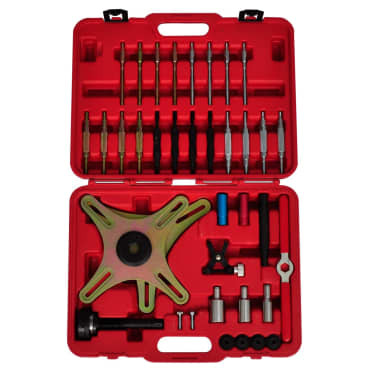 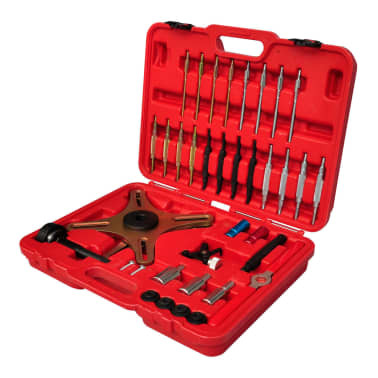 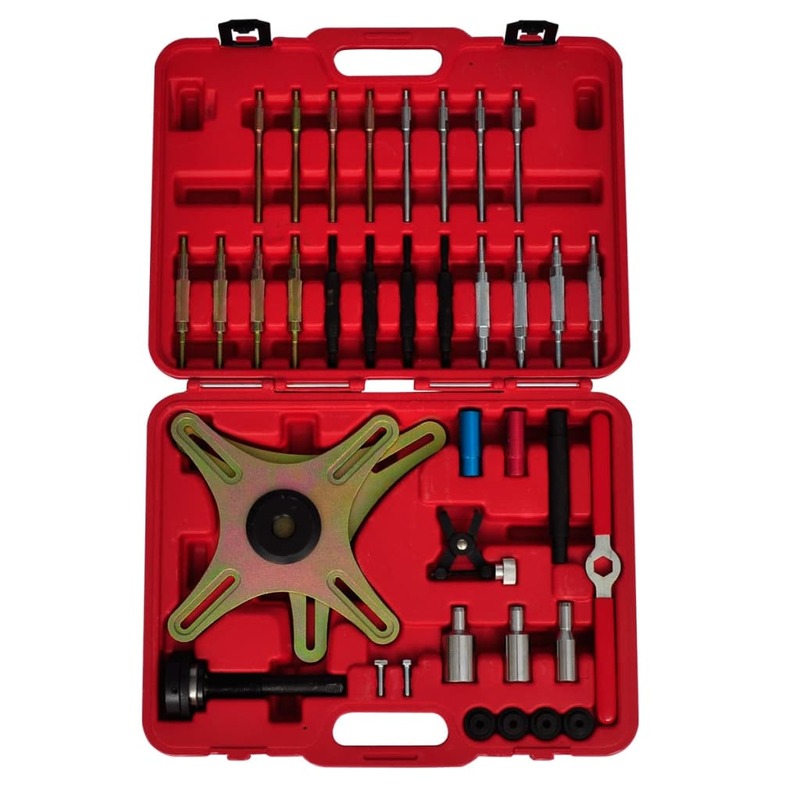 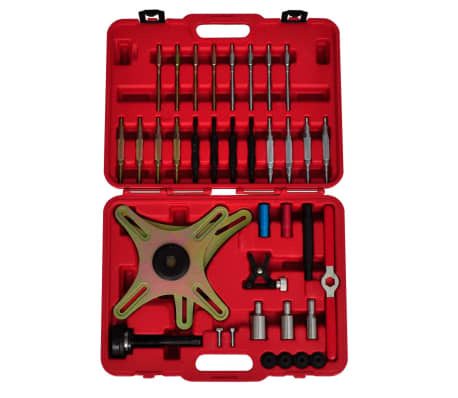 Delivery includes Special Tool Set for SAC clutches for self-adjusting clutches, Biasing device, Spindle with clamping sleeves, 20 threaded bolt, pressure screw, Reset tool, Tool handles, centering pins, knurled nuts and centering.